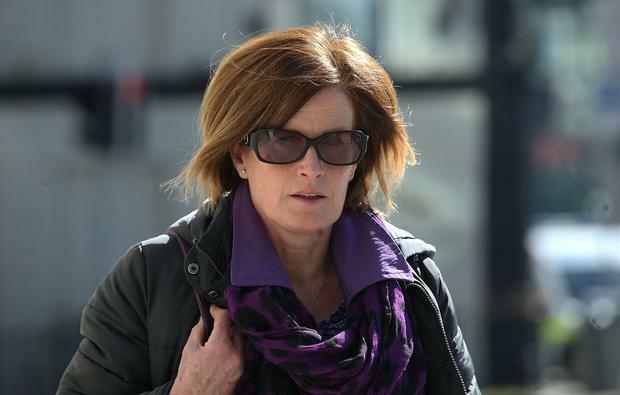 Mary Lowry has told the Tipperary murder trial how she “did not give permission” for the recording of a conversation between her and her boyfriend that was discovered on a hard drive seized from the house of Patrick Quirke. Ms Lowry said she was “100pc certain” the voices on the recording were her own and that of Flor Cantillon, whom she began dating in March 2012. And she also denied a claim she had become “angry” when told by gardaí she could not sit in on the interview of her sons, aged 14 and 12 at the time. Detective Sergeant John Keane told the trial he played the audio to Ms Lowry and Mr Cantillon in January this year. Asked where the recording had originated from, he said it was found on a hard drive seized from Mr Quirke’s home on May 17, 2013. 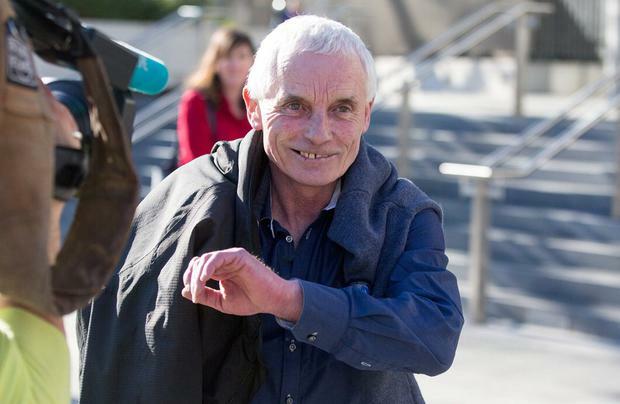 Patrick Quirke (50), from Breanshamore, co Tipperary has pleaded not guilty to the murder of Bobby Ryan (52), a part-time DJ known as ‘Mr Moonlight’ on a date between June 3, 2011 and April 2013. The recording was twice played for the jury yesterday – once when Mr Cantillon was in the witness box and again when Ms Lowry was giving evidence. Though largely inaudible, the recording was that of Ms Lowry laughing as she read from the problem page of a newspaper in which a woman expresses concerns that her husband has been wearing her underwear. Mr Cantillon can then be heard asking her to read the answer to the query and a discussion takes place between the two. Flor Cantillon told the court he met the gardaí on January 12 last and they played the tape of the recording. Asked by Michael Bowman SC for the prosecution what was on it, he said: “She was reading a problem out of the problem page,” later explaining that he meant Mary Lowry. Asked whether he heard anything else at the end, Mr Cantillon said: “I think she asked me a question. I asked what was the verdict of the problem,” he said. 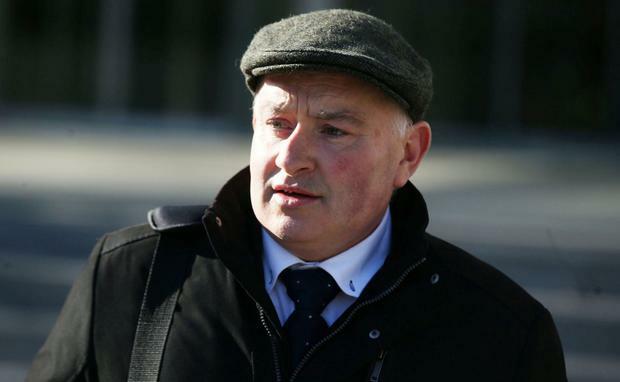 Under cross-examination, Bernard Condon SC for the defence asked Mr Cantillon whether he had expressed some doubt it was his voice on the tape. Mr Cantillon told the trial he could hear Ms Lowry’s voice very clearly on the tape and could hear his own voice. He said he was not sure at first if it was his voice, but when he heard more of the tape he identified his own voice. Dt Sgt John Keane told the court the purpose of playing the tape for Mary Lowry on January 11 last was to see whether she recognised the voices on the recording. He had played the audio in its entirety and taken a statement in the course of playing it, he said. Ms Lowry then took the stand, saying she had identified the voices as being “100pc” her own and Flor Cantillon. Put to her that she was in a relationship with him at that time, she agreed. It had begun on Patrick’s weekend 2012, she said. The audio was then played for Ms Lowry in court. Cross-questioning, Bernard Condon SC for the defence, put it to Ms Lowry that a garda document stated she had no issue with her three children being interviewed in July 2013 but that she wished to be present during it. Mr Condon put it to her that it was explained to her that this was “not possible” and that she had become “angry” as a result. Ms Lowry told the court this was “a misunderstanding because the boys were underage”. She said that she wished to be in the house. Again put to her that she had wished to be present, Ms Lowry said that was not correct. “The facts are I was with my children in my house,” she said. “The guards came to interview them. I thought I could be in the interview with them but that wasn’t possible. “They were 12 and 14 – I must protect my children,” she said. “Well, I’m dealing with the facts,” Ms Lowry told him. Mr Condon put it to her she had wanted to “complain to Garda management”. Ms Lowry said she could not recall. Mr Bowman asked Ms Lowry whether her youngest son Michael, who was born in 2003, had also been interviewed by the gardaí. She said she could not recall. Mr Bowman asked whether she had ever made a complaint to garda management, and Ms Lowry replied that she had not.